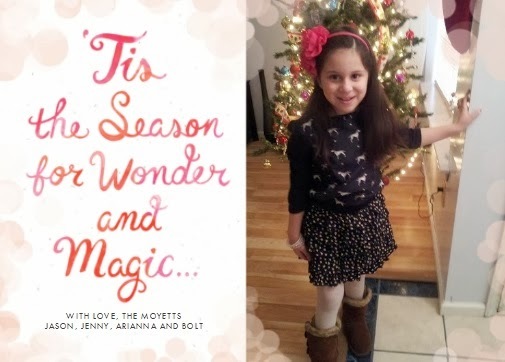 Babblings of a Mommy: Season's Greetings With CardStore & Holiday Card Giveaway! 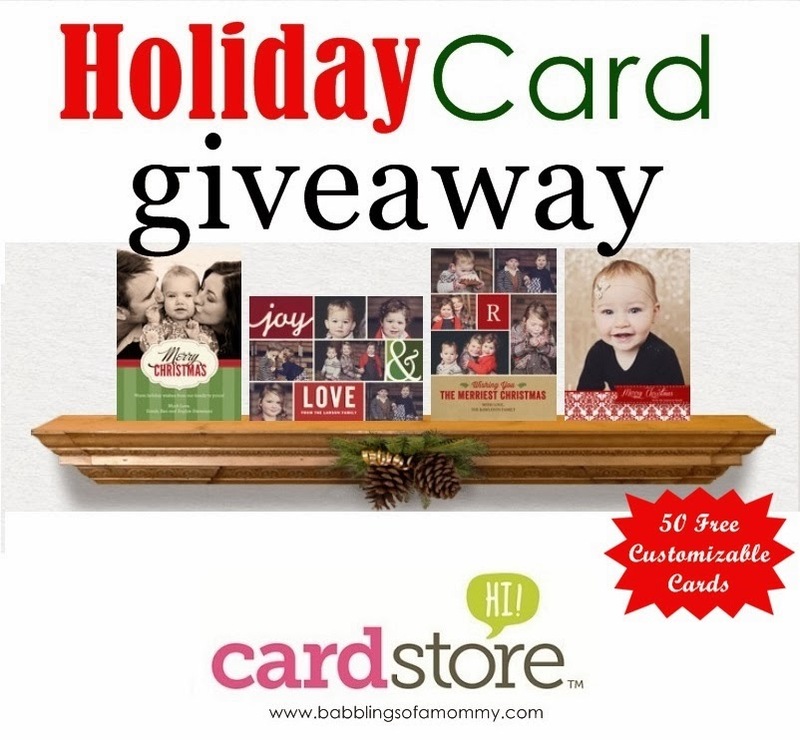 Season's Greetings With CardStore & Holiday Card Giveaway! Once the holiday season rolls around everything seems to be a whirlwind. The hours don’t seem long enough, the days go quicker, and pretty soon you start to feel the holiday panic. Lately I’ve been feeling like there aren’t enough hours in the day, especially since sunset sets at 4:30 here. I mean, come-on! 4:30?? Not cool. As magical as this time may be, it can be stressful and overwhelming - if you don’t plan ahead. I’m a planner. I like to do lists and schedule things ahead of time, but some things still fall in-between the cracks, even for people like me. That’s why I appreciate when I see companies like Cardstore.com try to make life easier and take some of the stress away during the holiday season. Everyone knows that sending out holiday cards can be time-consuming and inconvenient, but we all love to do them! So what can we do to make our holiday greetings less troublesome? Send them on-line! Cardstore is an innovative online resource that removes the hassle from mailing out holiday cards. Once you create your custom cards with personalized pictures, messages, and signature, Cardstore will print, stamp and send the cards for you – helping to take one huge item off your already full holiday to-do list. Isn’t that genius??! I made my own Christmas card at Cardstore and found it to be extremely easy to use and customize. They have a variety of cards to choose, from with styles ranging from bright and fun, to traditional and homemade. You can include pictures or no pictures depending on what you like, and send cards by importing your address book, or entering a new recipient. It also includes and estimated delivery date which is useful, and also allows international delivery at additional costs. Now are you ready for a nice holiday surprise? Cardstore is giving one of my readers 50 FREE CARDS, plus standard shipping to make sure your holiday greetings get there on time!! To enter to win simply fill out the rafflecopter widget.